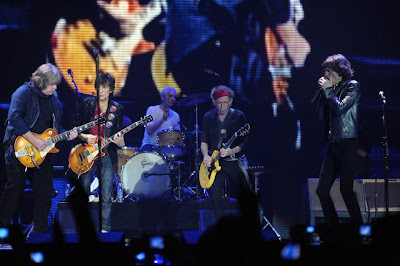 Rolling Stone magazine is reporting that a concert business source confirms that The Rolling Stones are planning 18 concerts in North America this year. This news comes a day after Billboard reported the band will play "fewer than 20" arena dates in North America, with Australian promoter Paul Dainty and Virgin music promoting the tour (the team also promoted the '50 and Counting' run). "May 2nd is the launch day," says another source. "I've heard West Coast cities – L.A. And Seattle. But I think they're going to do some back East as well." It would be the band's first major tour since 2005-2007's A Bigger Bang.